Those are real swimmers, making job for their pool. Esa Sievinen, back to the place of glory. Italian OW Team, to Junior Euros. Drownings, second-leading cause of death for kids in USA. Laure Manaudou and Canet-team. Image from liveffn.com. 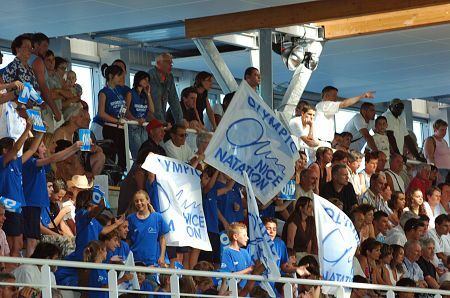 French Long Course Nationals 2007 – Thursday – Finals. As in women´s race, in men´s 100 back same crowd as usually this week gathers to podium. Camille Lacourt wins another with 55.39, Benjamin Stasiluis second (55.47) and Pierre Roger on bronze (55.83). Elene Bogomazova breaks the competition record second time on her way to win in women´s 50 breast. Anne Sophie Le Parathoen grabs the second place (32.01) and Fanny Babou third (32.82). 1. Hugues DUBOSCQ, 2. Tony DE PELLEGRINI, 3. Giacomo PEREZ DORTONA, Eetu KARVONEN. Eetu Karvonen manages fine race in otherwise anemic men´s 50 breast final. Eetu clocks (28.78) for second place after triple champion Hugues Duboscq (28.64), who sweeped the breaststroke events in Saint Raphael. Tony De Pellegrini third (28.89). This resultservice is one fucked up device, or is with these 1500 free results for women. Young 1990 born Aurélie Muller fastest with 16:27.97, new age group, followed by Camelia Potec (16.35.64). Third place for Charlène Neufcouer (16.41.72). 1992 born Margaux Fabre clocks also new age group record 16:52.66. Sébastien Rouault started his own pace from the beginning and easily won the men´s 1500 free. French record holder clocked 15:04.77, leaving silver medalist Nicolas Rostoucher (15.21.18) and bronze medalist Anthony Pennier (15:25.46) far behind. Energy Safe Victoria (ESV) has announced that a temporary electrical installation was the probable cause of electric shocks, which caused Brooke Hanson‘s collapse at a pool and spa exhibition. Ian Thorpe´s new tv-program “Fish out of water” premieres on Thursday, July 5, at 7:30pm on Australian tv-channel Fox8. “If there is an opportunity there I would love to, but looking at the way these guys handle themselves they almost look like they have more poise and wisdom than I do. 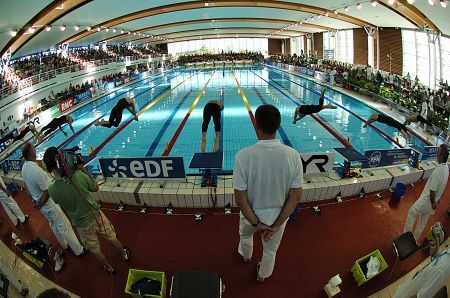 French Long Course Nationals 2007 – Thursday – Morning heats. Elena Bogomazova opened the morning with new competition record and world class time 31.73 in women´s 50 breast. French record holder Anne Sophie Le Parathoen second (32.47) and Sara El Bekri from Marocco third (33.28). Eetu Karvonen continued his fine morning swims in men´s 50 breast. Hopefully he gets something going the evening also. Eetu second (28.49) just after Hugues Duboscq (28.43). Senegalese Malik Fall on third spot (28.68). 29.18 for 1989 born Giacomo Perez Dortona promises good times in Antwerp. Laure Manadou ready for start in yesterdays 200 free final. Lady Laure back in pool and in the usual place were used to see her, le numero uno. Laure Manadou easily first in women´s 100 back with 1:02.31 before Esther Baron (1:03.03) and Alexandra Putra (1:03.35). 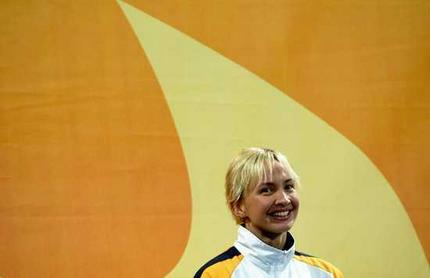 Camille Lacourt is in the hunt for second gold and third medal from these Champs. Fastest of the morning in men´s 100 back. Camille clocked 55.94, Benjamin Stasilius 56.37 and third fastest Matthew Clay 57.16. 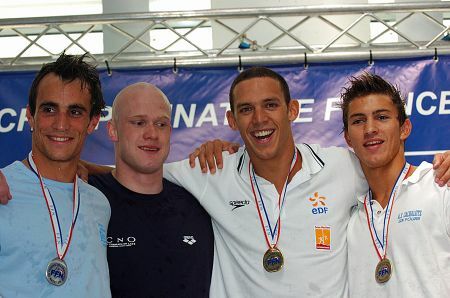 Promising 58.90 from 1990 born Florent Manaudou in 12th place. 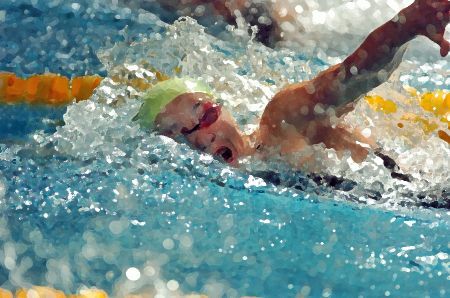 Slower heats of women´s and men´s 1500 free eneded the last morning sessions in Saint Raphael. Swede Eva Berglund swiftest woman with almost new Swedish record. Eva clocked 16:49.78, Åsa Sandlund´s record from year 2002 is 16:49.48. So close, so far away. Another Swede Gabriella Fagundez third fastest with 16:53.20. 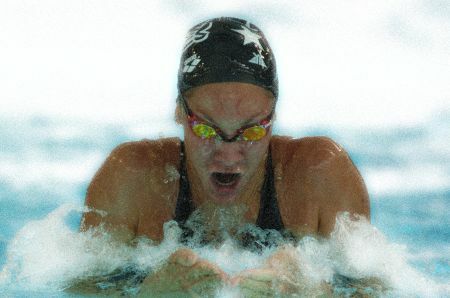 Between them in second place 1992 born Margaux Fabre broke age group record with her time 16.52.66. In men´s side king of the morning session was Sebastien Fraysse (15:35.15), following places to Pierre Henry (15:42.29) and Rondy Gilles (15:53.24). Finnish Short Course Nationals 2007. Jo eläkkeelle siirtynyt Tero Räty kiusaamassa nuorempiaan 50 selärissä. Taas ulkomaisia vieraita Wisconsinista, kun Matias Koski (1994) ui 200 seläriä, 800 vu ja 1500 vu. Lyhyt rata houkuttaa selvästi enemmän uimareita pidemmille matkoille, tai sitten on tajuttu että pisteautomaatit olivat vajaakäytössä monen seuran Kalevan maljan metsästyksessä. Katseltuani Ranskan mestaruuskisojen tuloksia ja lähtölistoja alkuviikon, on ehkä hieman järkyttävää huomata kuinka nuorta väkeä kisoissa on. Toisaalta turhaa nilittämistä mutta asia on syytä huomioida. Finaaleissa eli top 8-listalta löytyy 70-luvulla syntyneistä Jarno Pihlava (1979) 50 ja 100 rinulissa, Tero Räty (1978) aiemmin mainitussa 50 selärissä sekä 50 perhosessa, Jere Hård (1978) 50 ja 100 vaparissa sekä 50 ja 100 perhosessa, Juha Lindfors (1978) 100 ja 200 vaparissa sekä naisista Hanna Jokinen (1978) 50 ja 100 rinulissa. Kisojen ikäpresidentti on muuten Lahden Kalevan Janne Virtanen (1964). Brendan Hansen, from bottom to top. Pride DVD, someone is not pleased. Iraq Disabled swimming, championship time. 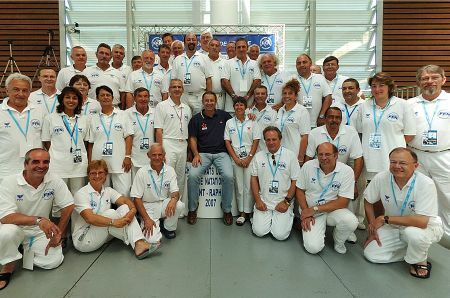 Officials in portrait at Saint Raphael. Image from liveffn.com. You are currently browsing the Uinnista weblog archives for June, 2007.